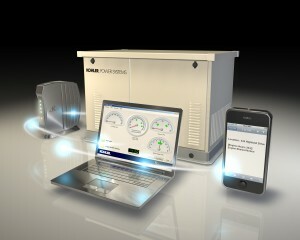 West Coast Generators also provides generator monitoring. We use Honeywell equipment and a state of the art central station that monitors all signals. There are many generator functions that can be monitored. For example, power loss, generator start, ATS transfer and generator trouble in general, to name a few. When your generator monitor sends out a signal, it can be relayed for a phone call, text, email or all three. All signals for generator monitoring are sent out via cellular connection, so there is no need to worry about a communication failure. Our monthly generator monitoring plans are very affordable!